Only 5 more days until Dad's big day, so if you are still looking for some fun Father's Day printables, here are a few more fun free ones! 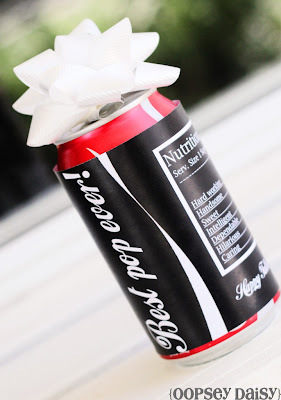 The Best Pop Ever soda cover can be found over at Oopsey Daisy and is a cute addition to the other Father's Day themed soda tags out there. 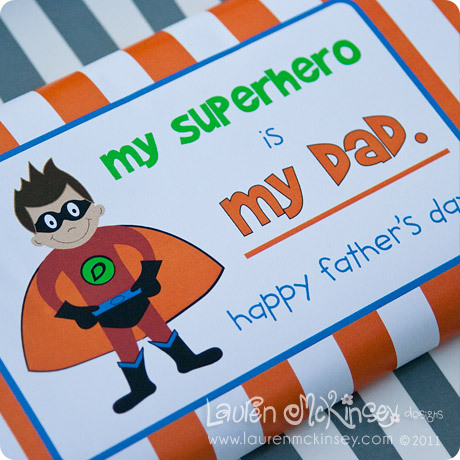 If Dad has a sweet tooth, Lauren McKinsey has a cute Super Hero Dad candy bar wrapper that would be a fun substititute for a card. 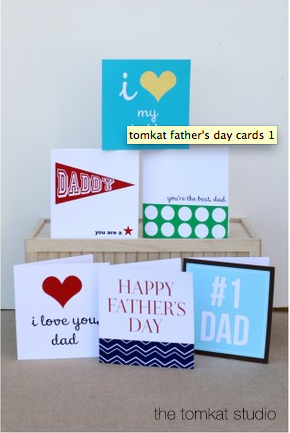 FunkyTime has some great vintage card printable cards that you can download for free. 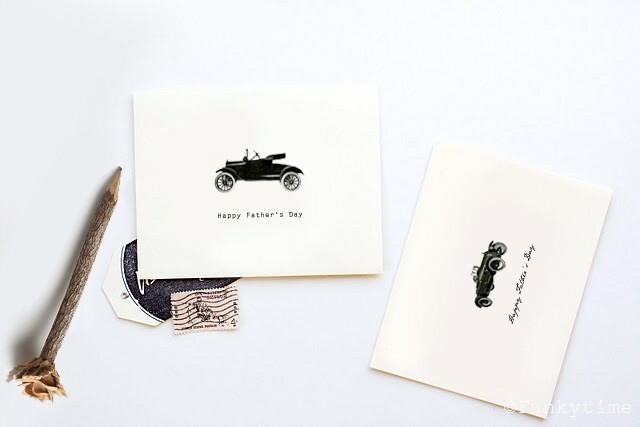 And if vintage cars aren't your Dad's thing, The TomKat Studio has six great designs for you to choose from. Really love the pop can. The others, too. I always find such fun ideas here.